Posted March 16, 2016 by Patrick Corcoran & filed under News, Reel Blog. (Washington, D.C. and North Hollywood, California) Recently there have been various reports in the media regarding a proposed movie release model called “The Screening Room”. Within a few days of the first report, several different high profile movie directors publicly stated their support for the model, some claiming that the model is good for motion picture exhibitors. Movie theater operators, however, will individually decide what business models work for movie theater operators. The owners and operators of movie theaters genuinely appreciate the vision and creativity brought to the big screen by motion picture directors. Nothing entertains movie fans better than a great movie exhibited in a modern movie cinema. The exclusive theatrical release window makes new movies events. Success there establishes brand value and bolsters revenue in downstream markets. 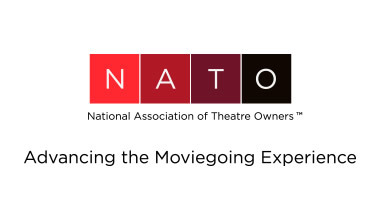 NATO has consistently called on movie distributors and exhibitors to discuss as partners release models that can grow the business for everyone. More sophisticated window modeling may be needed for the growing success of a modern movie industry. Those models should be developed by distributors and exhibitors in company-to-company discussions, not by a third party.